“Appreciate don’t appropriate,” Catherine Luo, the president of ASIA, stressed along with the ASIA and BSU members who led the event. The event was the K-pop General Assembly, or K-pop GA, which was held in IMSA’s TV Pit on November 8th. Luo stated that the GA’s purpose was not to shame fans of K-pop, but rather “to draw attention to the grim yet hidden reality of the industry”. The ASIA members began by presenting a brief history of Korea. They informed their audience that, in the past, Korea has been controlled by several countries and has fought in many wars. This led to the prevalence of xenophobia in Korea. Eventually, Korean culture increased in popularity. One element of the culture that has become extremely popular is K-pop. In K-pop, artists aim to convey a single concept in each of their albums. From the concepts K-pop artists had presented, K-pop fans began to construct generalizations or stereotypes about Korea. K-pop fans enjoy the seemingly perfect world that K-pop has presented them with but do not realize its negative impacts. Next, the ASIA members delved into the issues of K-pop. Many K-pop artists must go through surgery before they are employed by an industry. Once they catch an industry’s eye, the industry demands that they sign a binding contract before they may proceed to work, which force K-pop artists to continue to work for the industry in order for the industry to continue to profit. After an artist signs the contract and begins to perform, the industry focuses all of their attention on the success of the artist, ignoring the artist’s well-being. Because of this, artists’ mental and physical health are left to plummet. Not only do industries fail to attend to their artists’ safety, but many industries even abuse the K-pop stars. The artists are expected to perform suggestive dances, even if they’re minors. High-ranked figures in the industry often sexually abuse the K-pop stars. K-pop members also tend to misconceive people of African descent. Wendy, a K-pop star in South Korea’s Red Velvet, spoke in an angry tone and used dramatic hand gestures as she attempted to mimic black people. 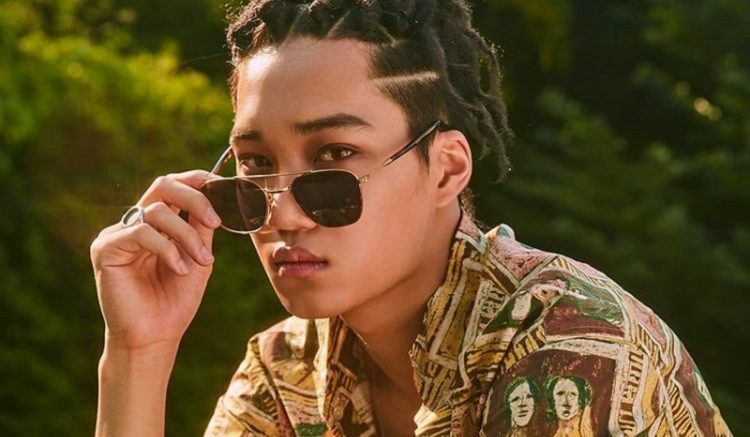 Since Koreans are constantly presented with stereotypes of people of African descent, they continue to hold a shattered view of the African culture. 1 Comment on "Appreciate Don’t Appropriate: ASIA and BSU’s Discussion of K-pop’s Hidden Reality"
Over 24 million YouTubers viewed the song “Papillon” by artist Jackson Wang. Who was hurt by this hit? What did Wang steal? Who was the owner of the stolen items? Who will judge whether such a crime occurred and mete out the punishment? Are the viewers accessory to Wang’s crime? Jackson Wang is a Chinese-born Olympic fencer, who later joined a Korean boy band and eventually became a solo hip-hop artist. Apparently, artists like Wang oppress certain ethnic groups by “appropriating” ideas from their cultures, while denying the people of that culture proper credit. As punishment for his cultural fraud, he should be shunned. Artists like Wang compete in the toughest commercial arena. By adapting ideas and styles from the free-and-open marketplace into his work, he found a target audience. By incorporating foreign styles and techniques, Wang exposed his fans’ to new cultures and ways. His success generates more financial opportunity – not just for himself, but for others in the entertainment industry (dancers, songwriters, accountants, musicians and etc), which spans a diverse population across multiple continents. More importantly, Wang boosts the appeal of “authentic” hip-hop artists through his hip-hop crossovers. By censoring Wang and banning cultural idea crossovers, Wang’s IMSA fans would surely suffer along with those 24 million YouTube viewers. Imagine a world ruled by cultural xenophobics. Innovation from cross-cultural pollination would be replaced by statism, enforced on group identities. Platforms to be policed for cultural contamination: YouTube, Google and Facebook.